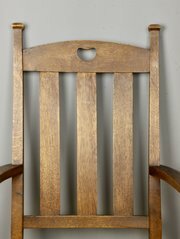 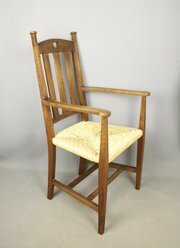 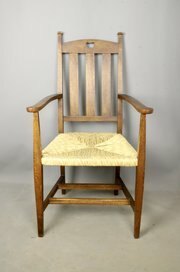 A lovely Arts and Crafts oak rush seat elbow chair, with pierced heart motif to the toprail. 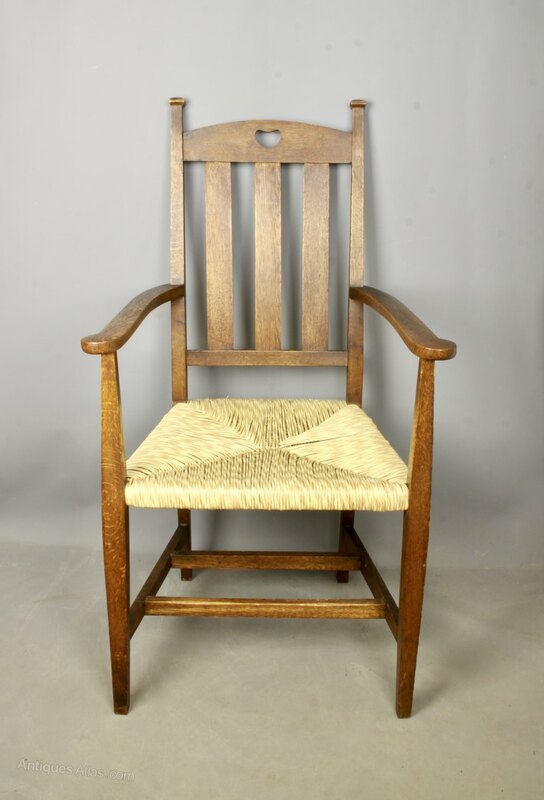 Suitable as a side chair or a desk chair it is offered in good condition, commensurate with age, and the rush seat has been replaced fairly recently. 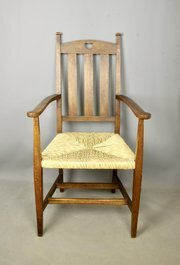 It measures 107cm high, 57.5cm wide and the seat is 47cm high.